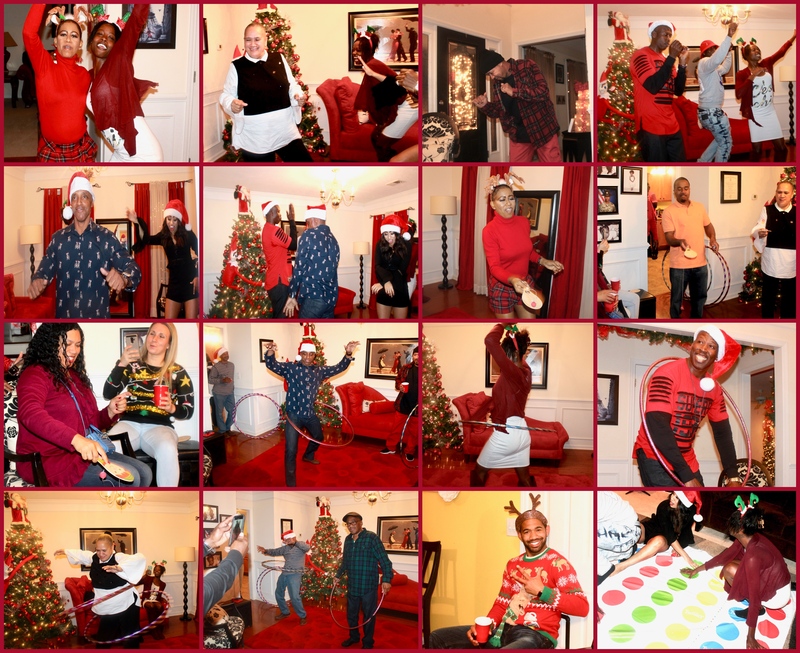 In this post, I will be sharing some of my greatest tips for throwing an Epic Christmas party. In order for any party to be a hit there must be great decorations, amazing food, and drinks. 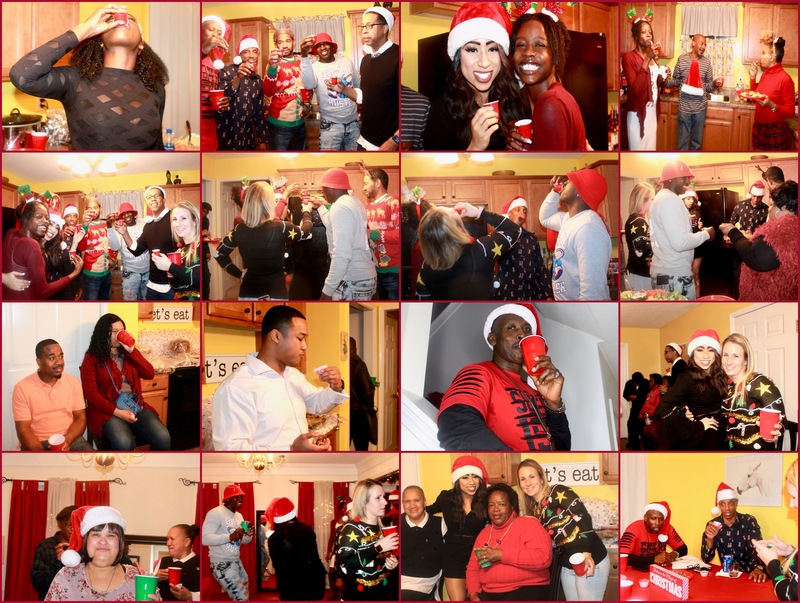 We had our annual Christmas party for the third year in a row, if y’all remember from the post A Southern Christmas. 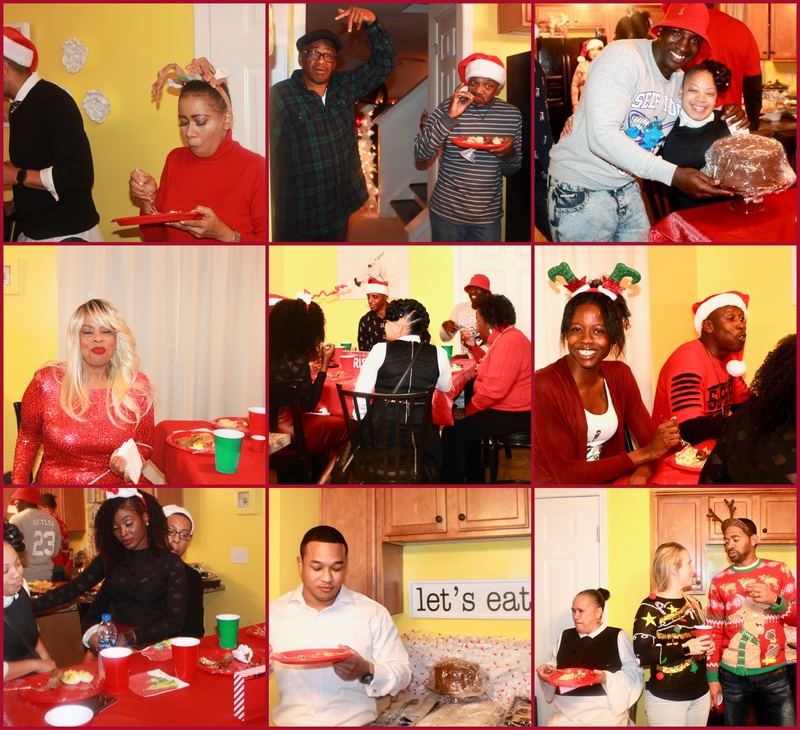 I started having Christmas parties in my home after a failed attempt to have a large holiday party for my family. All of my guests had an amazing time and the last of them didn’t leave until three in the morning. Honestly, y’all I was worn slap out and dog tired after my guest left my home that morning. It took us all about a week to recover from the party. Since I’m offering party tips, I want to give y’all an inside look on how I planned my party. The very first thing I needed to do was to decide who was coming. I already knew that I wanted close friends and family. Since my husband is military, he also wanted to invite some of his colleagues that he works with. Once I had my guest list, I needed to DIY my invitations. I wanted my invitations to be bold and eye-catching, which is why I chose red ones. 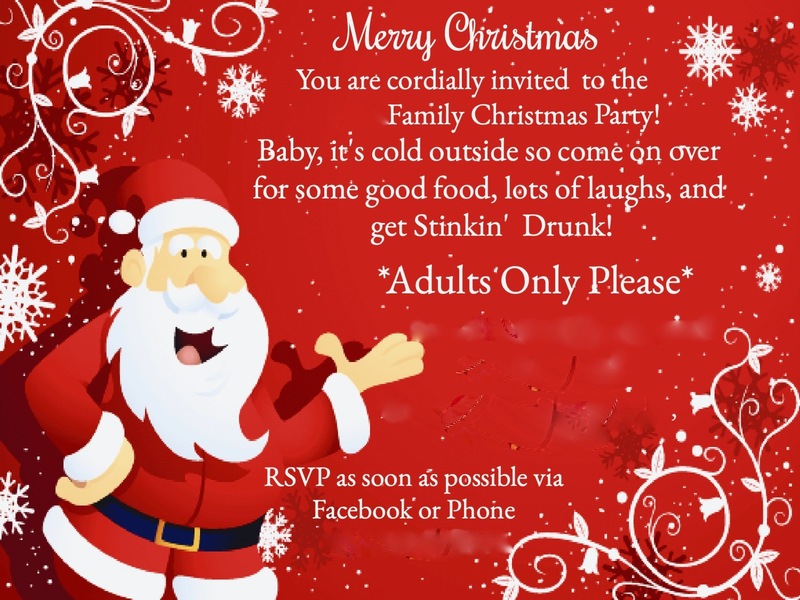 I made my own invitations, using the website Canva. Click here to read my blog that gives a step -by-step guide that demonstrates how to use Canva, if you need help. After I finished creating my invitations, I sent them out via; text, email, and Facebook. The RSVPs quickly rolled in and I realized there was no turning back. My third annual Christmas Party, was happening and I had a great deal of work to do. So I headed to the one place that will have just about everything I needed…Hobby Lobby. Hobby Lobby is seriously one of the best places to go for party items. I knew that I would have to make a last minute trip, to find anything else I needed. I was able to find my napkins, toy rick racks, Christmas props, and I even found some of my Christmas decorations. We also ran into Santa Claus during one of our many stops that day. Since I was planning a Christmas Party I didn’t really need a theme and I didn’t have to stress too much about decor. 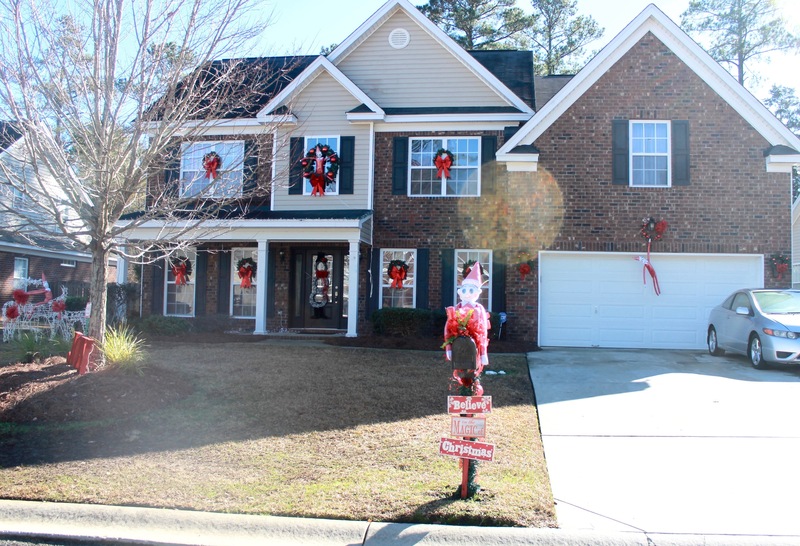 This is the outside of my home fully decorated, with my hand-made Life-Size Elf on the Shelf. If you’re interested in making your own for next year, click here to find a step-by-step guide on how to create them. 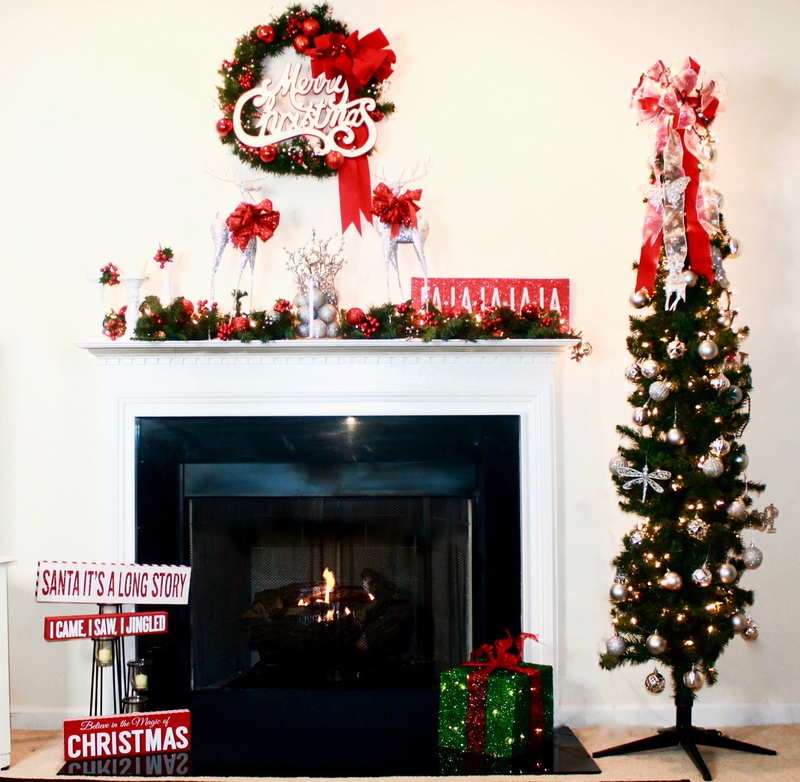 This is the picture of my Christmas fireplace, if you would to know where I found all my decorations click here. 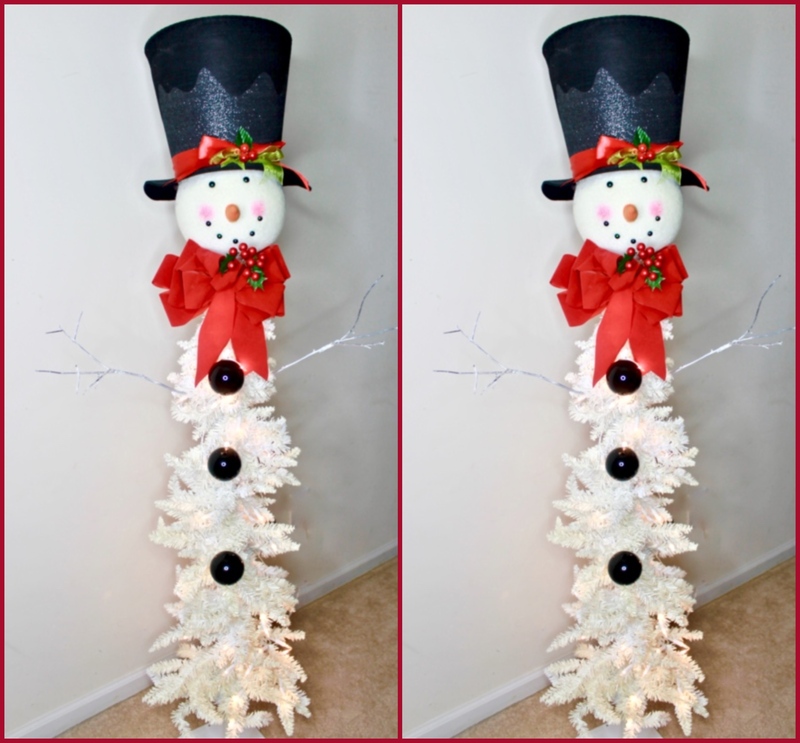 I really wanted magical Christmas decorations, which is why I decided to make my very own Snowman Christmas trees. If you would like to read how I made them, feel free to click here. When my guests arrived I had them take pictures by the snowman and I also placed another one on my stairs. I handed out props such as Santa hats and reindeer antlers, because it was a Christmas Party of course. I absolutely love taking pictures and it was extremely important for me to have a great backdrop for pictures to be taken. However, I was unable to find one anywhere so I made my own. 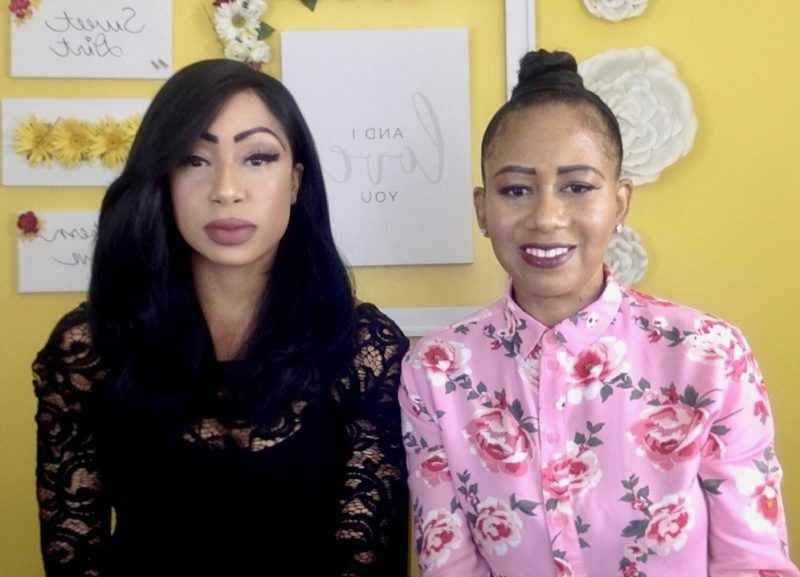 If you are in need of a backdrop for any occasion, wrapping paper works quite well. 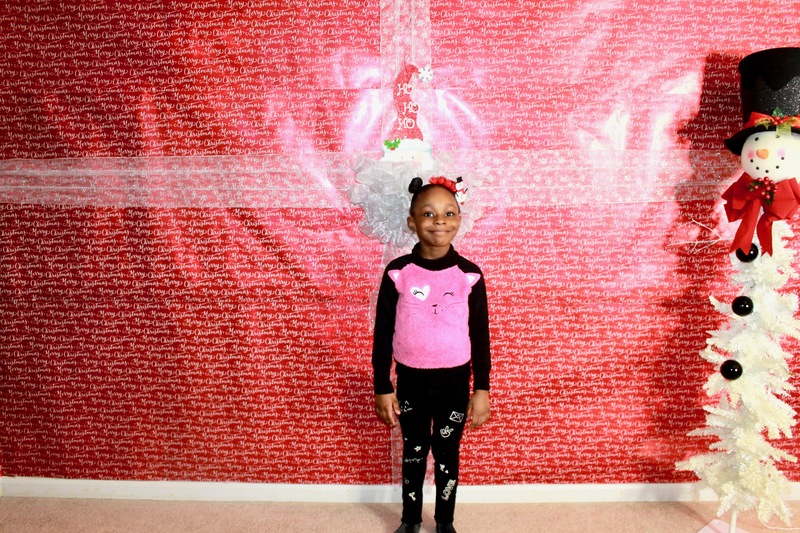 Click here to see how I created my inexpensive and fun backdrop. As my guests began to arrive, I made sure that anyone that wanted a prop grabbed one. I quickly began taking pictures, because for me it’s important to document these beautiful moments. I believe that the key to any successful party, is the food. If the food isn’t good, the party is an automatic failure. I love to cook and love making everything homemade. I decided that I wanted to have a pretty extensive menu, because I wanted there to be something that everyone could enjoy. I absolutely love vegetables especially broccoli, so anytime I entertain I make a vegetable tray. In the South we love eating savory dishes. However, I think it’s really important to incorporate a veggie tray. It looks wonderful and it’s a very colorful spread. I also decided to have deviled eggs, sprinkled with real bacon bits because I got so many requests for them. Not to mention they are a Southern staple and easy to make. 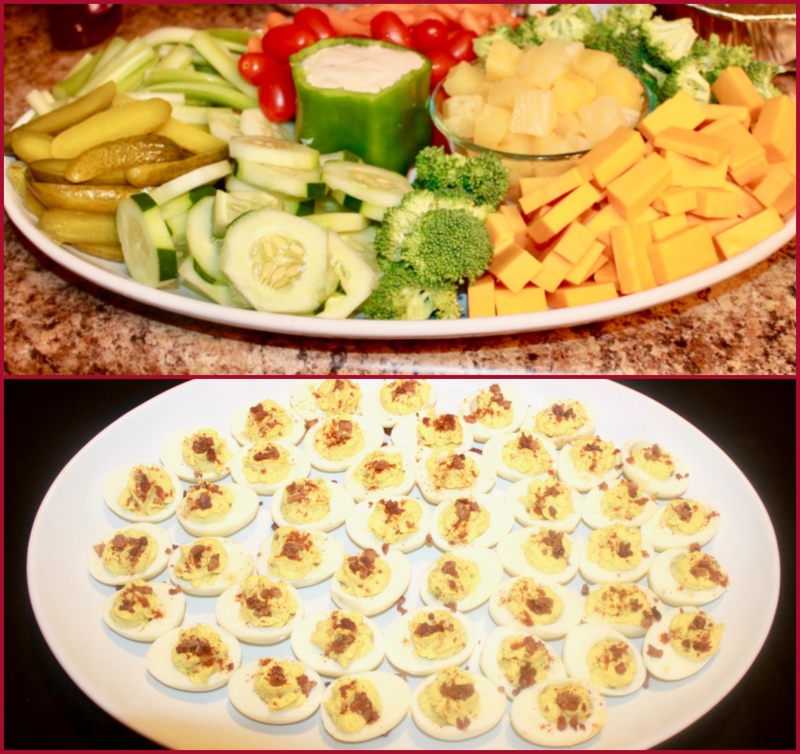 If you’re in need of a recipe for deviled eggs, click here. 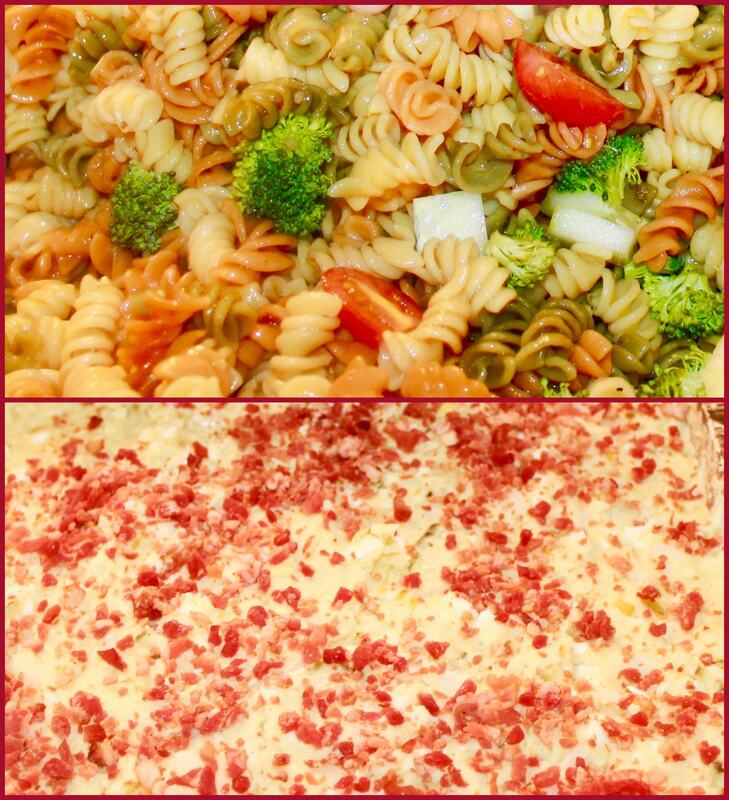 I chose to serve pasta salad, because it’s a really fun, easy, and colorful dish to have at any party. You can add as many different vegetables as you like. I always like to add broccoli, cucumbers, and cherry tomatoes. The recipe for my easy pasta salad can be found here. Of course I had potato salad topped with real bacon bits, because in the south it’s eaten year round. It’s a must to have potato salad and it’s also a party favorite. For my meats I decided to serve Southern Style chicken wings, the recipe can be found here. I also served homemade pepper meatballs, I don’t like store bought meatballs they never taste good. If you’re in need of a delicious meatball recipe, click here. I chose barbecue pulled pork, because it’s amazing. I live in the south, of course I’m having pulled pork at my party. If you’re in need of a good pulled pork recipe, it can be found here. For my desserts, I really wanted a variety of treats, so I made a decadent three layer chocolate cake you can find the recipe here. I ended up raffling off the chocolate cake, to my party guests. A southern style pound cake, which is another favorite. I always get rave reviews when I make a pound cake for any occasion, the recipe can be found here. 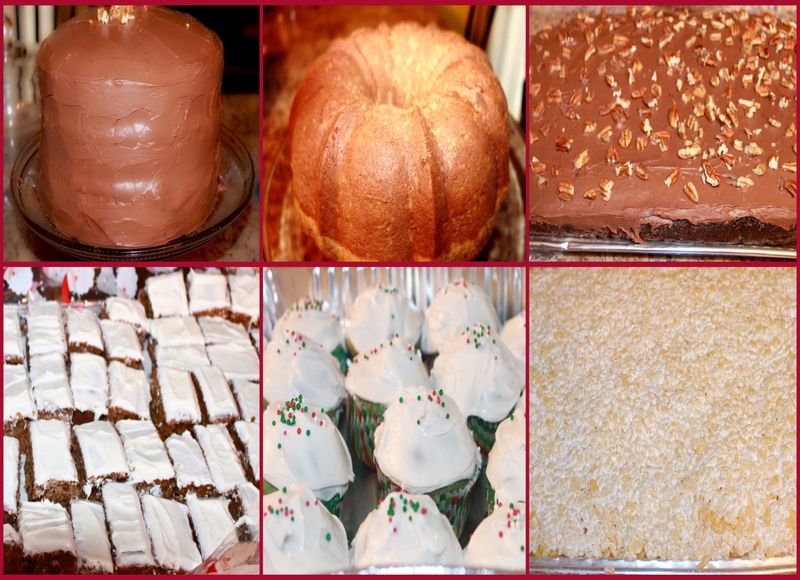 I made a variety of desserts which included: a chocolate sheet cake covered in pecan halves, gingerbread squares with cream cheese icing, white and green cupcakes (which were made by adding a little green food coloring into the cake mix). Lastly, I prepared Rice Krispy Treats which is always a favorite among guests. Needless to say I’m pretty sure everyone enjoyed the food. It’s imperative that I had a lot to drink, after all on my invitation I stated that it was a party where you could get “Stinkin Drunk.” We also had very potent jello shots, for our guests. After my guests finished eating many of them spread out and began to really enjoy themselves with one another. Many of them began dancing, playing with rick racks, hula hooping, and even playing drunken twister. All of these games are the perfect activities to play at any adult holiday party. 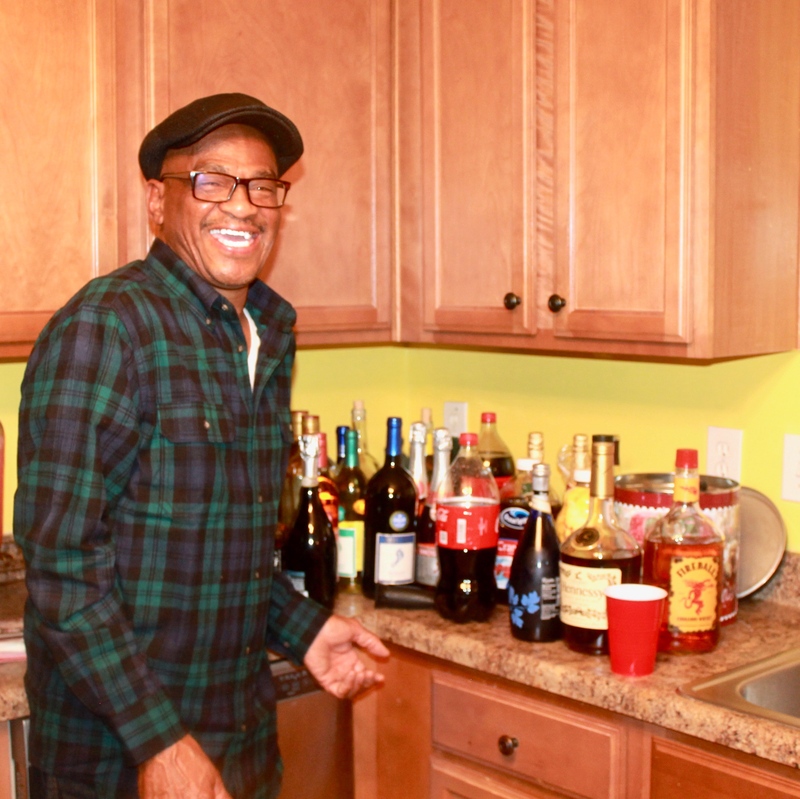 It truly warmed my heart that I was able to open my home to family, friends, and colleagues. The holidays are my favorite time of the year, because it’s about being in the company of good people, eating delicious food, being happy and having fun. I hope everyone had a wonderful holiday and I hope that you’re ready for all the amazing things that 2019 will bring this year. I hope ya’ll enjoyed this post and I hope that everyone has an amazing week! Feel free to let me know what you think in the comments section. Lovely pictures and delicious food, seems that you have enjoyed a lot. Thanks for sharing your party experience with us. Thank you so much! We had a really great time, and I’m glad that you enjoyed the post! Happy New Year! I love the photobooth backdrop you set up. Thank you so much! Happy New Year to as well! Thank you the photo booth was super easy to set up! 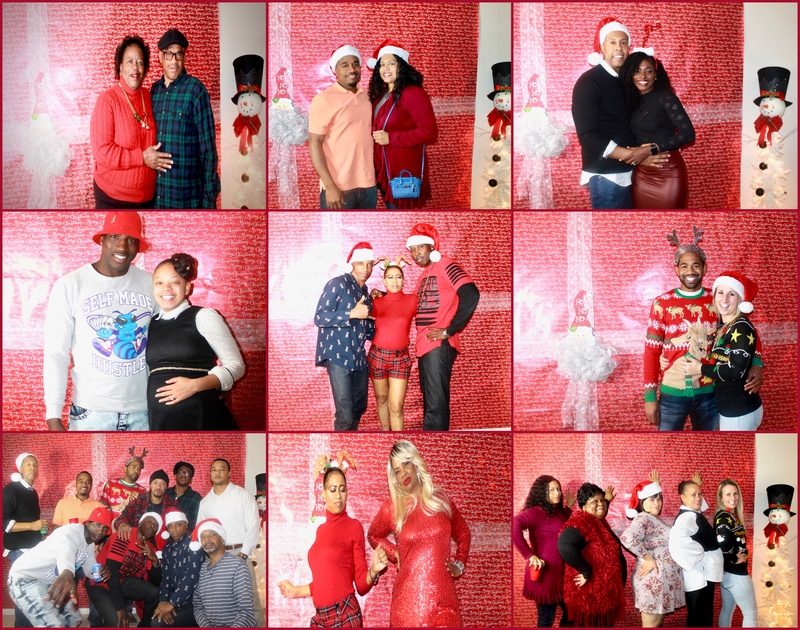 Wow – you sure do know how to have a fabulous Christmas party for friends and loved ones! I am so impressed with your preparations and how you pulled it all together for what was obviously a lovely time for everyone. You are quite an inspiration! Awww thank you so much! I started planning my party about six months in advance, because it was a great deal of little things to get done. I really appreciate your kind words it really means a lot. Thank you again, and I hope that you have a wonderful day! Hosting for the holidays can be so much fun! I love your decorations, so festive. I had to take some time to rest after the holidays this year. I agree it is a lot fun, I really loved seeing all my family and friends enjoying themselves. Awww thank you, Christmas is my favorite time of year, so I always go all out. Thank you again for the wonderful comment! Hope you have a great day! It looks like you had an amazing blast! I love hobby lobby, I could get lost in there for hours. One time we went in looking for some stuff for Halloween crafts for the kids and came out with a Christmas tree! Bless my heart! We had such an amazing time! OMG Hobby Lobby, is my special place. They know me, I’m in there so often lol! We even invited Hobby Lobby employees to the party. You sound like me, but the best time to get your Christmas decorations is immediately after Christmas, because everything is like 75% or more! Thank you stopping by, I hope you have a wonderful day! 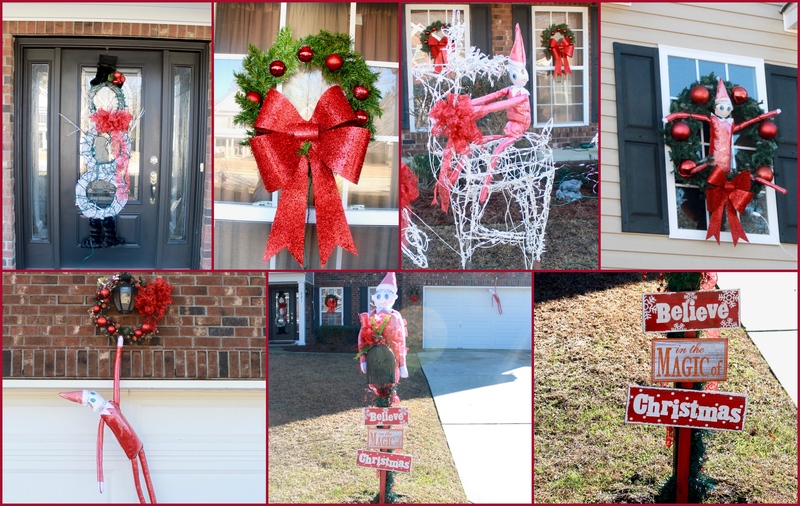 Love how you decorated the exterior of your home. So beautiful and the food looks amazing!! Thank you so much, I really appreciate your kind words and wonderful feedback! Have a lovely day! Your family is so lovely <3 thanks for sharing your Christmas decoration ideas and the food looks so amazing. Awww thank you so much, that’s very kind of you to say! You’re so welcome, I’m glad you enjoyed the post! Thank you for stopping by! I hope you have a lovely day! Your decor was awesome and you just made me sooo hungry… which is an incredible feat considering that I have flu right now lol Glad you enjoyed your holidays. Looks like your family is really fun. Thank you so much! I hope you feel better soon! 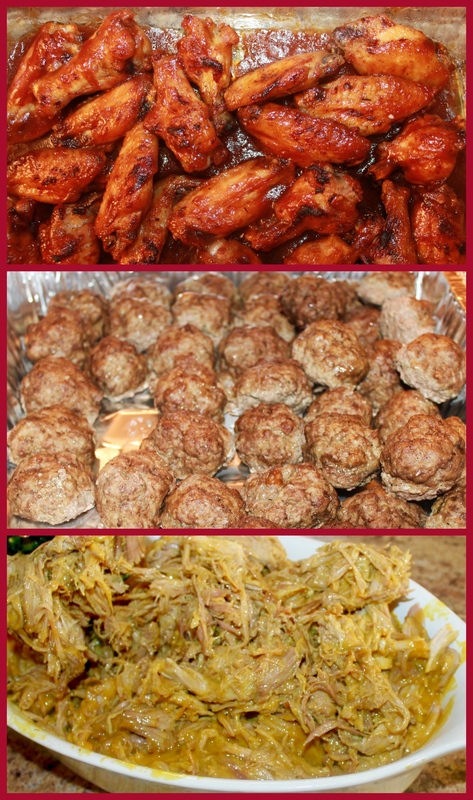 In the south we love eat, so I had to make sure I had a lot of good food lol! We had a really great time, thank you! Thank you for stopping by and get well soon! It looks like everyone had a wonderful time! Loving how into Christmas you are with your decorating. You did a good job both inside and outside. Thank you so much! Christmas is my favorite time of the year, so I always go all out. I’m just glad my family and friends enjoyed themselves that truly made me happy! I hope you have a wonderful day! Thank you so much for the positive feedback! I hope you have a great day! Good decor. Amazingly delicious food. Fabulous pictures and awesome holiday experiences you had. Christmas moments with family is always fun as we all bond that moment like never before. sounds like you all had a wonderful time! Love your decoration ideas. Hope you have a great day! Wow! You go to so much effort and you can tell it really pays off! Look at all those smiles! The next time I’m planning a little get-together I know to definitely come here for some tips! Thank you so much! I’m glad to hear that you enjoyed all the decorations. It’s inexpensive, easy, and it really translates well in pictures! Thank you again for your wonderful comment, I hope you have great day! It looks like you guys had a great time and I see a lot of ideas I want to steal! Maybe I’ll try my hand at a home holiday party with similar goodies you had too, this coming year! Thanks for sharing your photos and recipes as well. 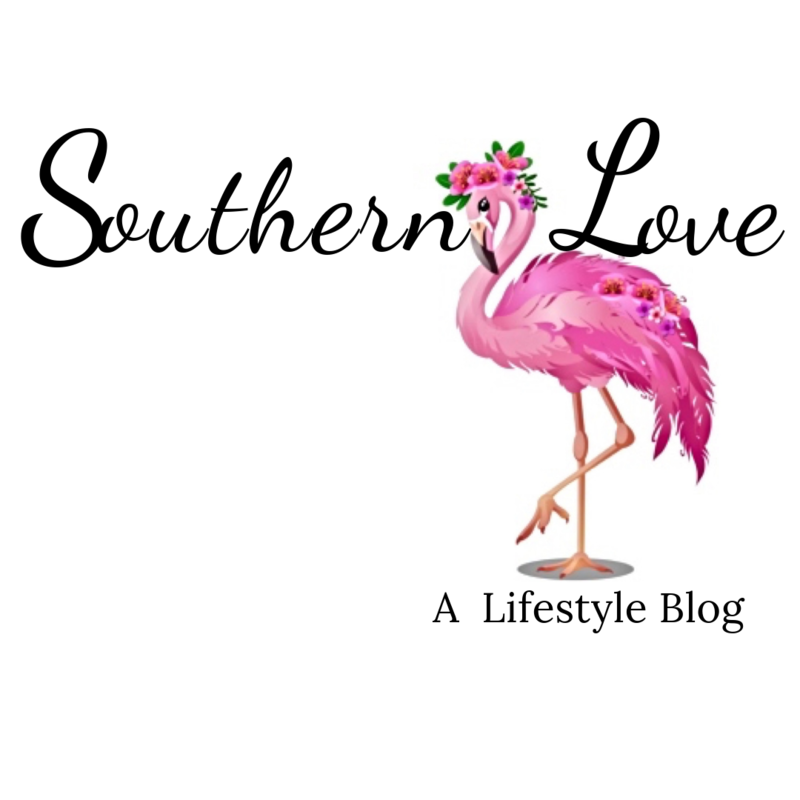 Awesome blog post! Thank you so much! We had an amazing time, feel free to use some of ideas. I have found that I really like having parties in my home, it’s easier to contain. You’re also more comfortable because it’s in your home. You’re so welcome, and I’m really glad to hear you enjoyed this post. Thank you for your wonderful feedback! I am so late to the party but this snowman looks sooo happy ahhah😂seems like you had an amazing time during the Holidays. No worries, I’m glad you made it lol! The snowman was very he photobombed a lot of pictures! We did have an amazing time, thank you so much for your hilarious comment! Hope you have a wonderful day! Thank you so much! We had a wonderful time, thank you for stopping by! Wishing you all the best as well, I hope you have an amazing day! It looks like everyone had such a great time! I have gotten so many ideas from you that I will use next holiday season.Thank you for sharing this. Great post! We had an awesome time, I’m so happy to hear that! Thank you for taking the time to read and comment! I hope you have a great day! OMG, your house exterior is the same layout as ours! 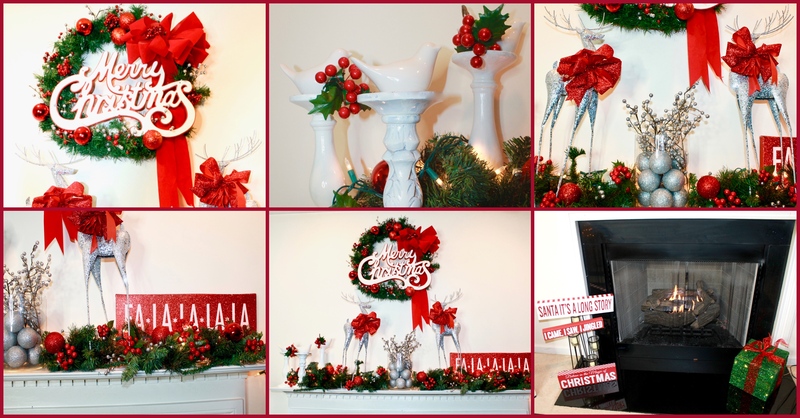 Like you, my husband and I had fun decoratingour house for the holidays – inside and outside! Thanks for sharing yours! Oh really??? That’s so crazy, we love Christmas, we always go all out when decorating. We love the holidays, it’s the absolute best time of the year! Thank you for reading and commenting! I hope that you have a great day!